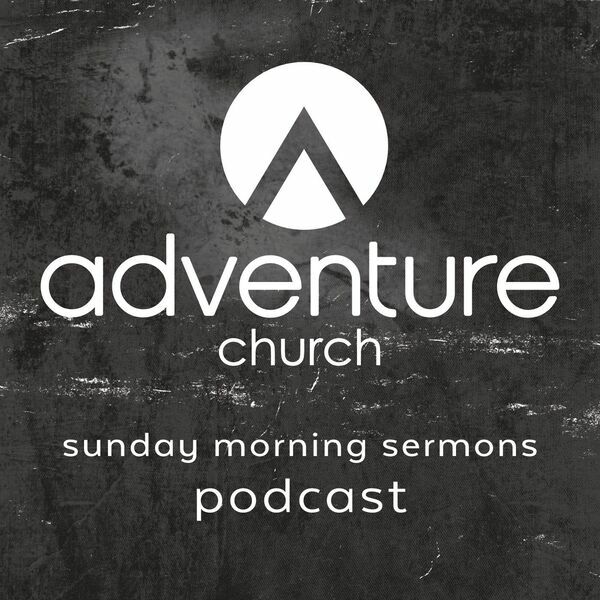 Welcome to the sermon podcast of the Adventure Church in Utah! Episodes consist almost entirely of the messages preached on Sunday mornings at the Adventure, a Foursquare church located in Draper, Utah, with an extension campus in American Fork. Check us out, subscribe, and thanks for listening! Pastor Jodi Van Rhee teaches on entering, surviving, thriving—and then becoming a voice—in the wilderness in the first installment in a new series through the Gospel of Mark. American Fork Campus Pastor Kelly VanArsdol closes out the Colossians series with an exhortation to become people of prayer. Pastor and counselor Robby Booth returns to the Adventure Church to deliver a message close to his heart: being a vessel shaped in the Hands of the Potter. Pastor Jodi Van Rhee continues walking through Colossians, this week centering on relationships. Pastor Kuulei Lee continues our walk through Colossians by sharing about our new life in Christ, putting off the old and embracing the new! Pastor Jodi Van Rhee reminds us, in the midst of the ugliness that may be thrown our way, the only thing that matters is the opinion of our Father in heaven. Pastor Ira Popper teaches on the supremacy of Christ in our lives. Jesus plus nothing equals life. Pastor Jodi Van Rhee continues the series in Colossians, this week focusing on going deeper into the mystery that is Christ in you. Pastor Chase Duncan explores the great mystery of Christ in us this week, followed by personal testimonies from the Philippine mission team. Pastor Jodi Van Rhee continues teaching through Colossians, this week focusing on Colossians 1:15-23: Jesus Over All—the universe, the church, and you. Pastor Jodi Van Rhee begins our new sermons series on Colossians, talking today about the Good News of Jesus bearing fruit in our lives through the work of the Spirit. As 2018 draws to a close, Pastor Ira Popper points us towards the future hope of the fulfillment of God's promises in our lives, and trusting His timing in the process as we wait. Pastor Jodi Van Rhee continues the Christmas Series teaching through Isaiah 9 and focusing on names and attributes of our Savior—our "Mighty God". The Christmas season and series has begun! Pastor Jodi Van Rhee teaches from Isaiah 9 and talks about Jesus—our Wonderful Counselor, the yoke of whom we should choose to bear. Pastor Jodi Van Rhee looks at the friendship of Jonathan and David and extracts from it the marks of a true friend. Continuing on with the story of Saul's betrayal of David, Pastor Jodi Van Rhee finishes her two-part sermon on "Healing and Wholeness After Experiencing Betrayal". What does it take to be a hero? How does God make heroes out of us? Pastor Ira Popper explores the story of David and Goliath to glean the answer. In the last installment of the Family Matters series, Pastor Jodi Van Rhee discusses the topic of healing—physical, emotional, and relational—and the role our faith plays in each. Time for a Reign Check: God chooses you! Pastor Jodi Van Rhee explores what God's sovereignty means for our lives, and how it benefits us as followers of Christ. Continuing in our Who is God? series, Pastor Ira Popper discusses God's immutability, and how God's unchanging character effectively works to change us.